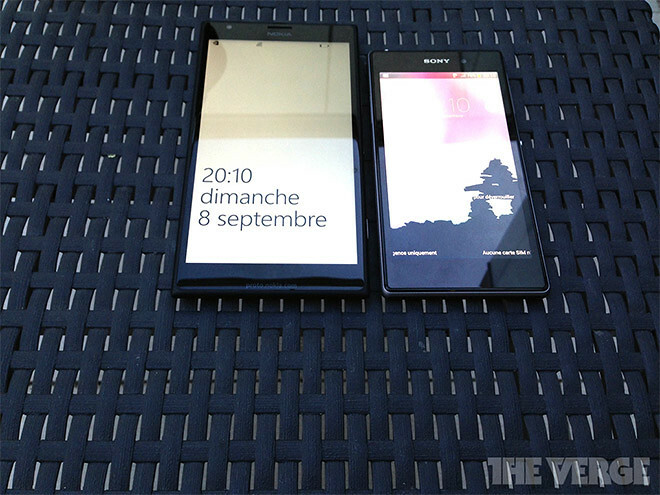 The guys from TheVerge have posted some photos of the upcoming giant 6-inch Windows Phone from Nokia. 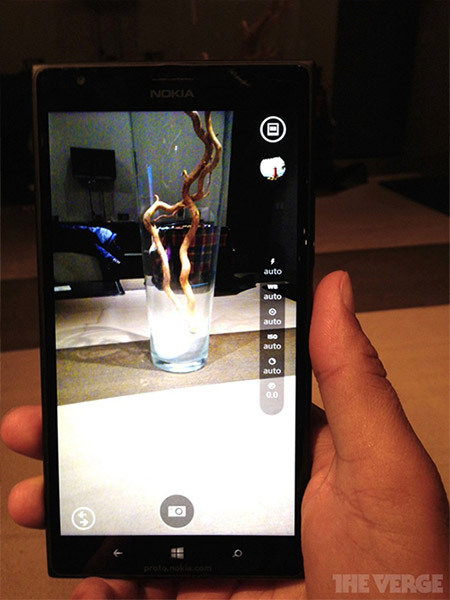 According to them, Kaz has provided them these photos comparing the Nokia Lumia 1520 with a Sony Xperia device. The device reportedly comes with 2 GB of RAM, 32 GB of storage with microSD expansion, Snapdragon 800 processor and of course the 1080P display. 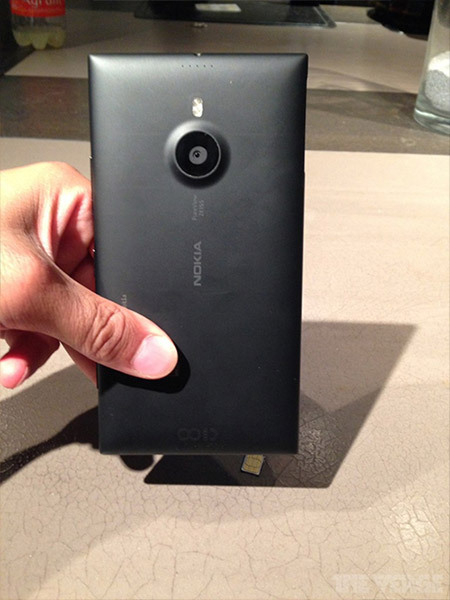 It’s also been reported that it will have a 20 MP camera on the rear with a design similar to the Lumia 925’s slight camera bump. 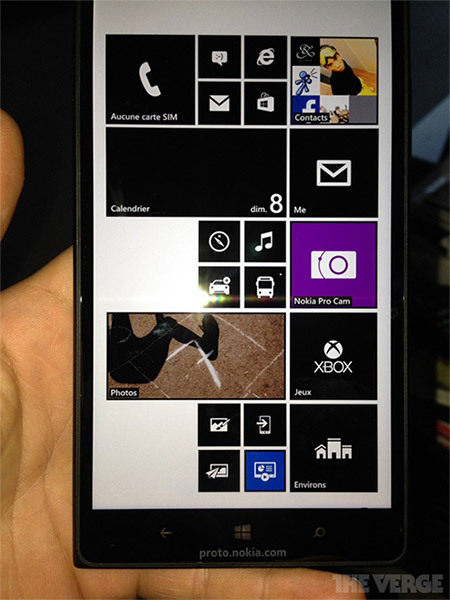 Apparently, this device will come with the latest Windows Phone update called ‘General Distribution 3. Some features that come with this update include multitasking improvements and individual ringtones for calls, sms and other alerts.